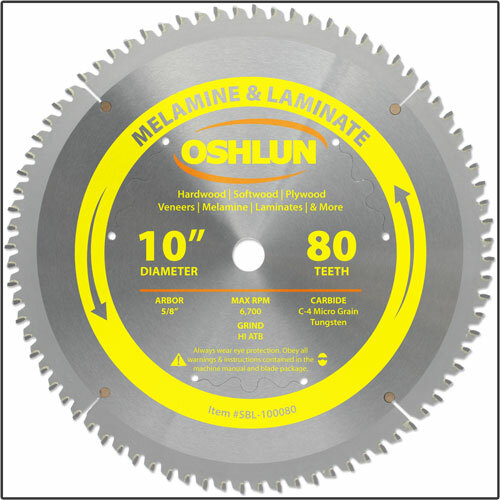 Our melamine and laminate blade was designed with a negative hook angle and a high alternate top bevel tooth grind for producing very smooth, chip free cuts in both single and double sided melamine, laminates, and veneers. It also produces smooth cuts in hardwood, softwood, and plywood. Other features include precision ground micro grain carbide tips, anti-vibration slots, and copper plugged expansion slots for less noise and vibration.